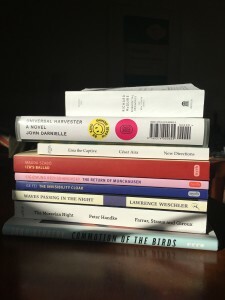 This month’s book stack is somewhat indicative of a post-Fall-frontlist blues — aside from Zadie Smith’s Swing Time and Michael Chabon’s Moonglow, there’s not a whole lot of showstopping major works on the (immediate) horizon. I kind of love these moments and think of them like a break in the clouds, where one’s reading list can get a little more esoteric. 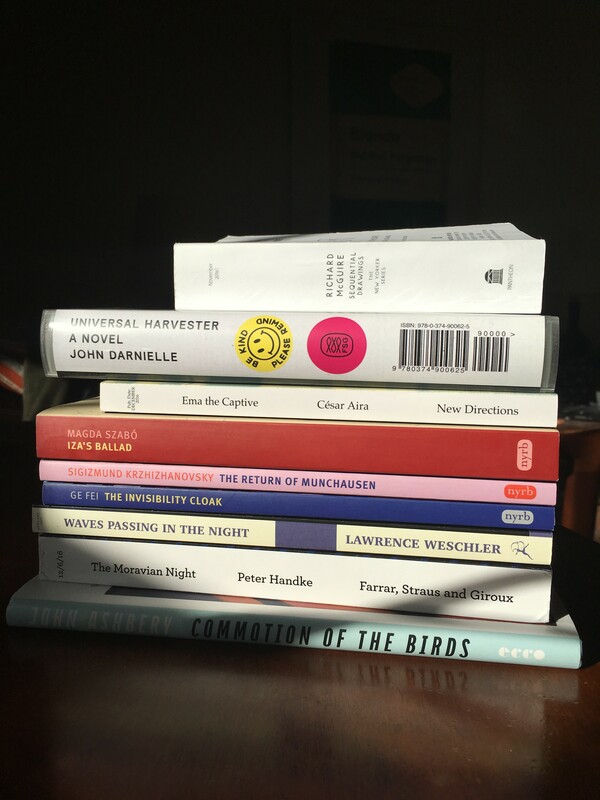 Last winter I dipped into a string of titles by New York Review Books, and I’m looking forward to another set. Richard McGuire’s Sequential Drawings is a fun little diversion, and I’m very curious to check the Weschler and Handke.